reduce the standby power consumption. power saving, as shown in Figure 1.
which pulls the feedback voltage up to 6V. longer than 56ms due to the overload condition. 130Âµs) prevents false trigger by switching noise. 142Â°C, thermal shutdown is activated. high/low line over-power compensation is included. 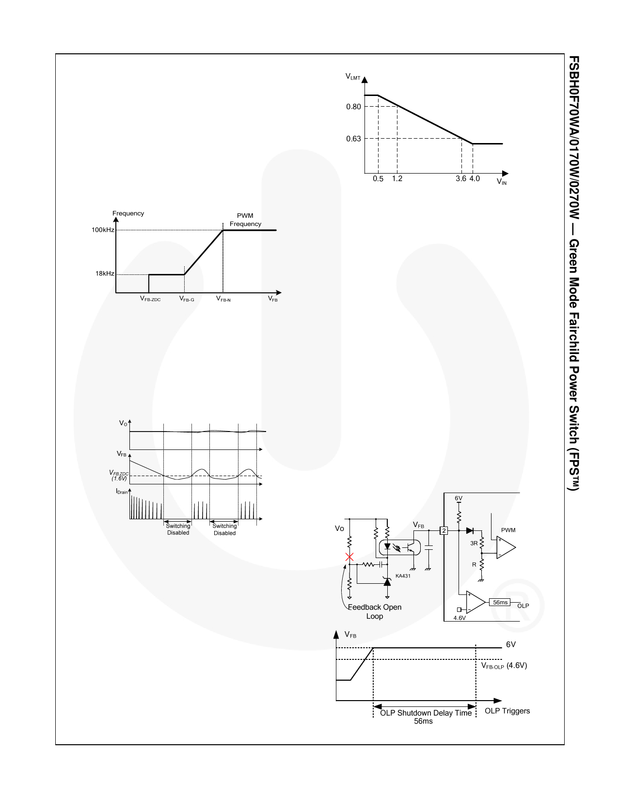 power control, as shown in Figure 28.